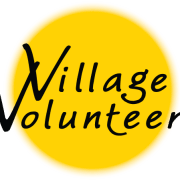 Village Volunteers is a 501c3 non-profit organization based in Seattle that helps students find meaningful volunteer or internship opportunities with one of our partner organizations in Kenya, Ghana, India or Nepal. We work closely with each student to provide a placement matches their academic and professional goals. Our partner NGOs are lead by talented and inspirational community leaders who are making a difference at the grassroots level and we invite international volunteers to join them in finding sustainable solutions to community challenges. Employ public health education through working with schools and women's groups educating on clean water, HIV/AIDS prevention, Nutrition, Malaria, First Aid, Sickle Cell Anemia and more. Work in a clinic and hospital with a small nursing school in rural Kenya. Several clinic and community placements available. Work in a clinical setting where volunteers have the opportunity to work at a clinic and hospital. Shadow and support a local medical team to treat and diagnose patients on a day-to-day basis and go with them on mobile clinics. Opportunities for clinical rotations for advanced students and close supervision to pre-med students. Visit our website, Login to apply online or contact us to discuss the programs that are available and how they can be tailored to your academic needs and career goals.